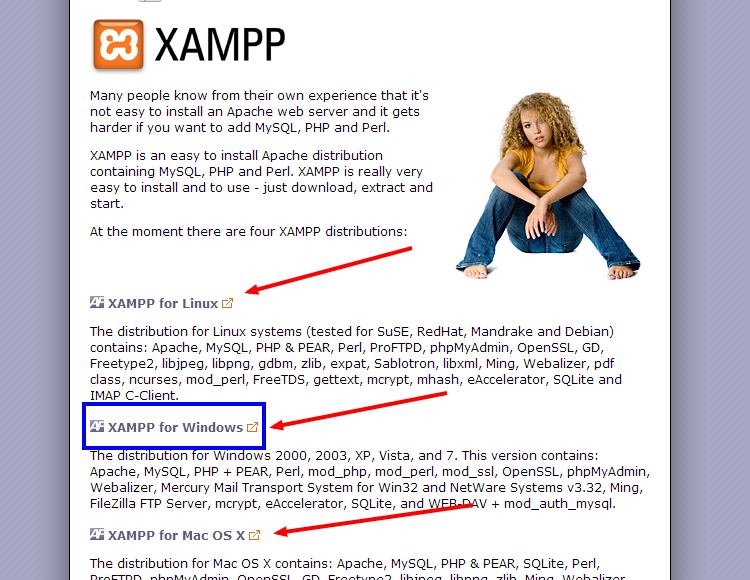 Before we download PHP, I would like to mention the fact that I am going to download a bundle that has three things in it: 1)Apache web server, 2)MySQL database server and 3)PHP – what we are going to learn here. 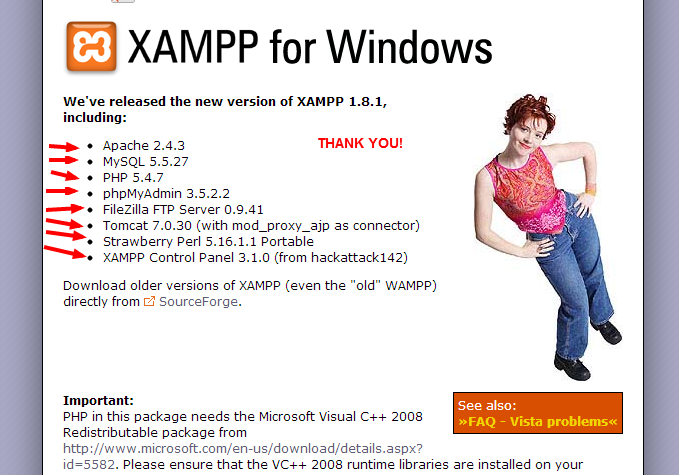 Thanks to some great people out there, all we need is XAMPP which is FREE! Next, we want to locate the right place where everything we need is. There are several options but I normally go with the first or second on the list. There is a good chance that one of them is the most used choice! 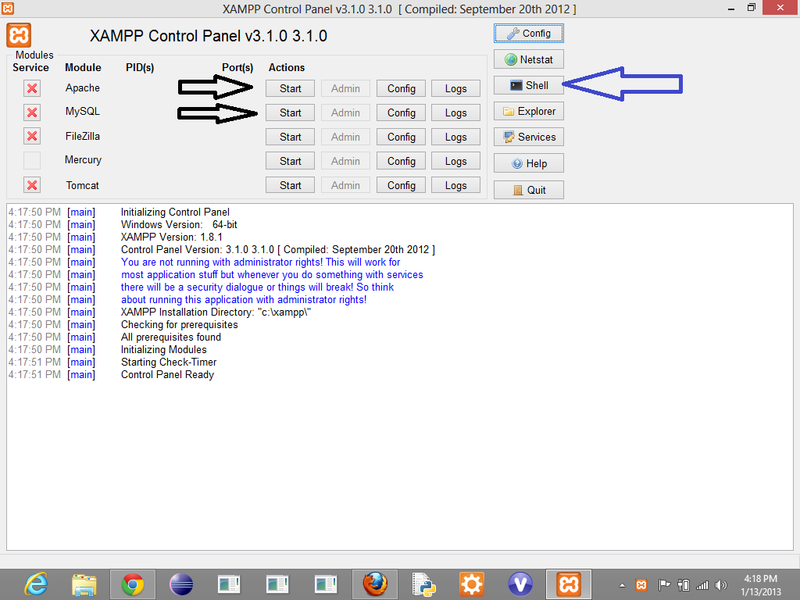 From the above snapshot, I have three choices: directly visit the Windows page, go to xampp home page where I will be able to choose what I want and use CNET. 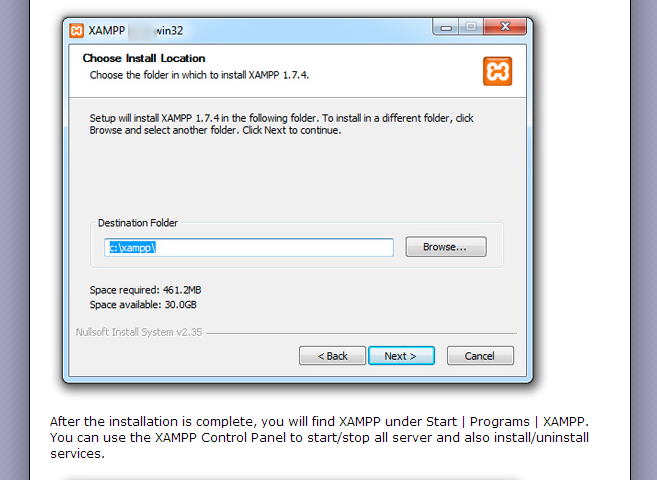 Just to be helpful, let us visit the main xampp page! 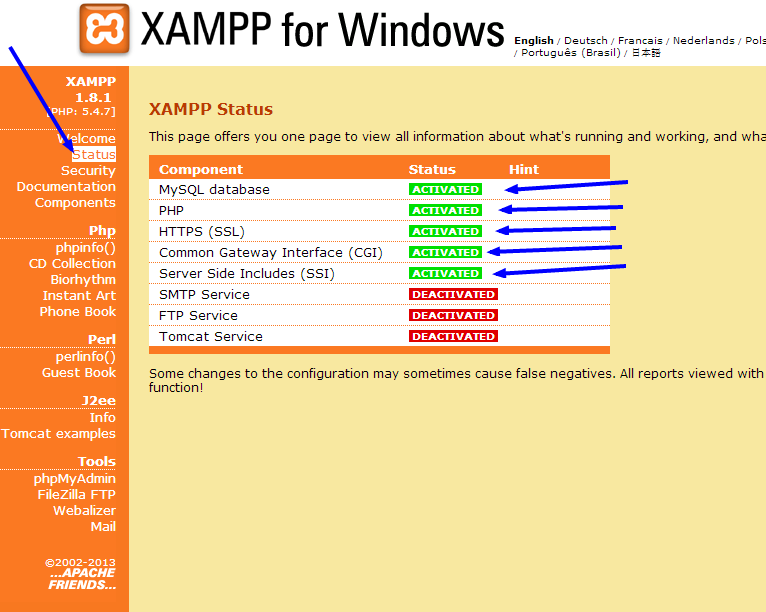 If you started your servers, then click onÂ status on the left of the above page(indicated by the blue arrow), you will see that several things have been activated. Go ahead and explore what you have there then come back! One final thing I want to show you before I end this post today: When you write your own files and want to run them as you would expect, where do you save them? You should be able to access your files by visiting for instance : localhost/yourfile.html or localhost/index.php. Here is the answer: Save your files to htdocs folder! How do you find that folder? 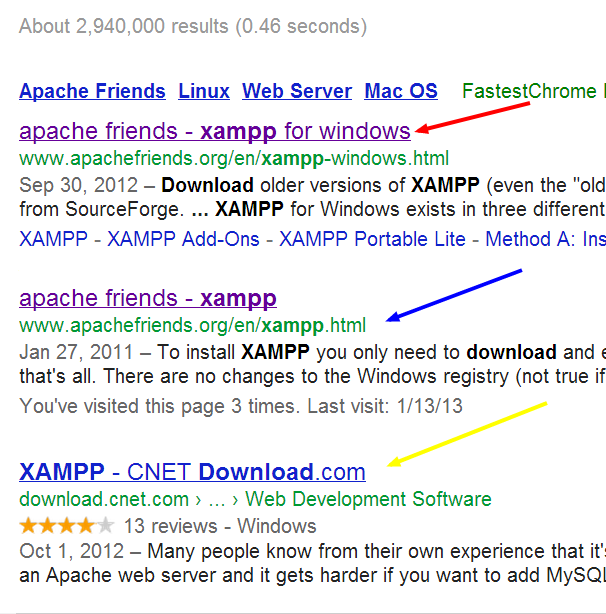 Now this is why I recommended installing xampp toÂ C:xampp directory. 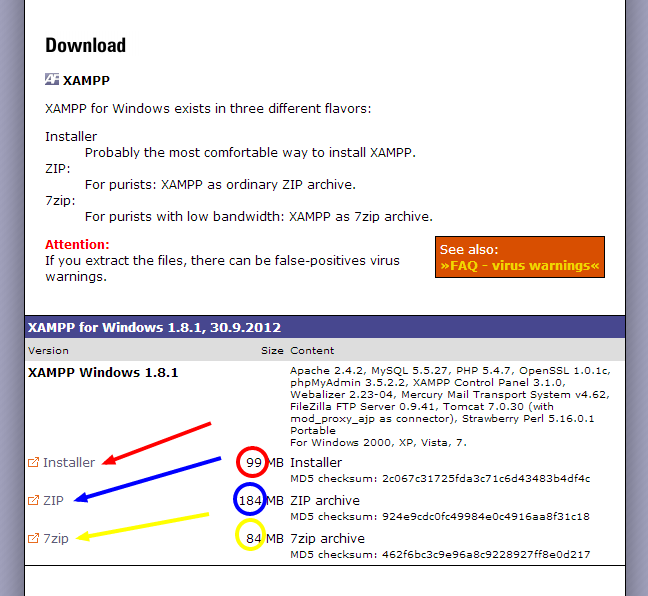 Assuming you did that, just right-click xampp folder and then locate the htdocs folder in which you will save your files from here on-wards. That is enough for today, right? Thank you for stopping by and I hope this helped you set up your working PHP environment and you are now ready to get started with creating some awesome interactive web pages! If you have any questions, please do not hesitate to ask through the comments! Good luck and if you have a blog that you would like me to check out, drop me a link! See you soon! This is nice article. Good explanation by image. PHP programming is essential for good web development. 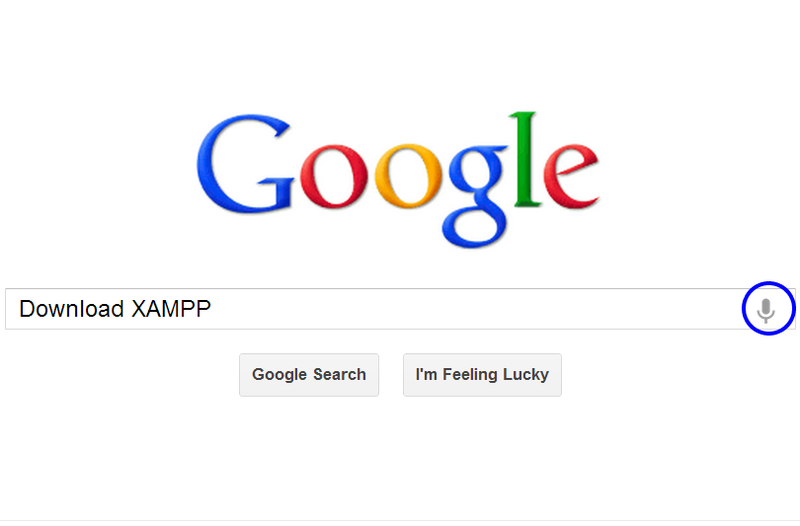 I am really glad you found this helpful. If you have any questions, please do not hesitate to ask. Also, if you have any ideas that you feel are missing, let me know so I can add them to my posts in the future. Thanks for stopping by and hope to see you around more often. Have a good day!